Disturbing to see how the government of the day want to maintain the Universities campuses ‘apolitical’ though jingoism, irrationality and Hindutva’s toxic thoughts are being encouraged and promoted by the state apparatus. When Akhilesh Yadav, who is President of the main opposition party in Uttar Pradesh and a former chief minister, is invited to speak at a student gathering, then the entire student fraternity would have got benefited. There is no point stopping the students to discuss politics as they are already in the thick of it. Better, it is to allow the political leaders to speak there but ask them to speak politics without being any reference to political parties and I can say, it will be of tremendous use. This was a principle and it was broken by the BJP by terming everyone else as anti national except them. Once you break this norms, you will be isolated thoroughly in the political circles once your days are over but the BJP felt that it is here to rule India for ever and every politician in the party became megalomaniac. The simple question is why was Mr Akhilesh Yadav not allowed to board his flight from Lucknow to Allahabad to speak to the students. The argument that the chief minister gave was that there is Kumbh fair going on and that Samajwadi Party workers , he call them goons, were planning to disturb the peace and create anarchy there to defame the state government. Now, this is not only absurd but below the dignity of the person who hold chief ministerial position. After assuming charge of Uttar Pradesh chief minister, Yogi Adithyanath have only spoken foul of his opponents. He got the chief minister’s bungalow sprinkled by Ganga water which showed his narrow feudal brahmanical mind. 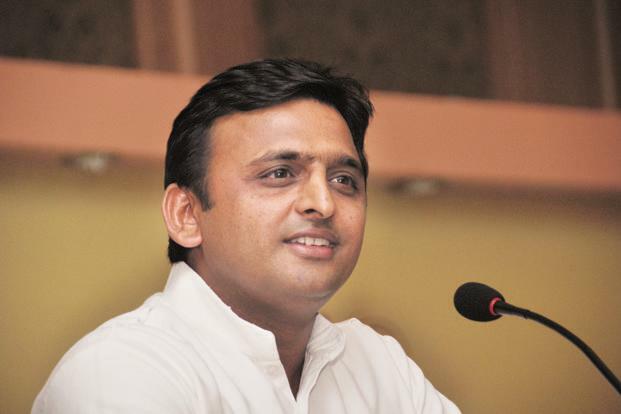 To be fair to Akhilesh Yadav, he has been among the most ‘accessible’ leaders in Uttar Pradesh who tried to build up a modern agenda for the state even ignoring some of the core issues of his party particularly the vast OBC reservation issues which he is now raising. Akhilesh Yadav has certainly gone far ahead of his father Mulayam Singh Yadav, though he remained the most acceptable leader with great network of old loyalists. What is highly disturbing is that the UP chief minister expressing ‘fear’ that Akhilesh Yadav’s going to campus would create a riotous situation. Yes, it is possible if those encouraged by his ‘toxic’ thought do not disturb the meeting. BJP would be the last party to talk of sanity. Its cadres have become loudmouth and a situation has now come when people will not have patience to listen to them. Stopping Akhilesh Yadav is a pattern which is being witnessed everywhere. Those who the government think are opponent to its toxic ideology are being denied to speak at the campuses. Veteran film actor Amol Palekar was stopped from airing his political views at the MGA in Mumbai while Jignesh Mewani, the independent MLA in Gujarat was not allowed to speak at a college he passed out from. Universities and colleges are the places where students discuss politics and should be doing so. These are the places for high discussions and debates to see political thoughts of students grooming. To stop them from thinking and denying people to read particular books of ideologies are the fear of those in power that the students will get radicalised. Now, there was a time when term ‘radical’ was always considered progressive than those who are moronic and have no question to ask for. It is only possible for those who have become ‘bhakts’ or devotees. Dr Baba Saheb Ambedkar had famously said once that bhakti in spiritual life may take you towards salvation but in politics bhakti will only take you to destruction. The power today do not want the new young to think and speak. They dont want you to debate and discuss the politics, the issues confronting our society and nation. When our Parliament and assemblies do not discuss seriously the issues important for well being of our nation, the campuses in the Universities or seminar halls of the institutions will have to take charge. You can not stop the thinking process and questioning ability. It is good to invite political leaders to explain their political position. Let the students speak to them and ask questions. Let these programme rise above party programmes. Moreover, I would definitely want the campuses engaged with thought leaders, with thinkers and ideologues more and more which will definitely good for all of us. When we engage with people on a discussion table, we have space to agree and disagree. That space in democracy is the most powerful. I can bet people get violent when the space of talk is no more. That space need to be not only protected but made available to all. When the space for discussion and dialogue disappear then the age of ‘cult’ appear and we follow mindlessly. We do not question. The leader only speak to us. We listen and go back home. It is a monologue which we have become habitual of for a long period. The Babas speak on TV. That is monologue. That is why we say, technology can provide you information but it is still a monologue. It cant listen to you. You can share your sorrows and happiness with any one including technology. Therefore, essence of dialogue, discussions and debate which strengthen our democratic process as there is so much of learning. The babas, the priests wont like you to think because once you become a thinker, you will ask question. Their shops will be closed. They will have to resolve the issues, raise those issues in Parliament and assemblies. That is why they want to stop everything which make the young think. Can they stop growing of students and youth ? Can they stop the forces of nature where human being need interaction and talk to each other. Can they stop our thinking process ? I am sure it is not possible. None can do that. If it is possible then we are in stagnation which means nothing can happen to us. I am sure, we all wish to speak, engage, think and act. The Babas of our politics must know that. The sooner they know it, better for them. Change is inevitable. It is the process of life. People will question. Young will rise and rebel to change the system. The day will come when we will be the change for the betterment of society and no power on earth has the capacity to stop that. Nice Article Mr Rawat.good analysis of the whole situation.